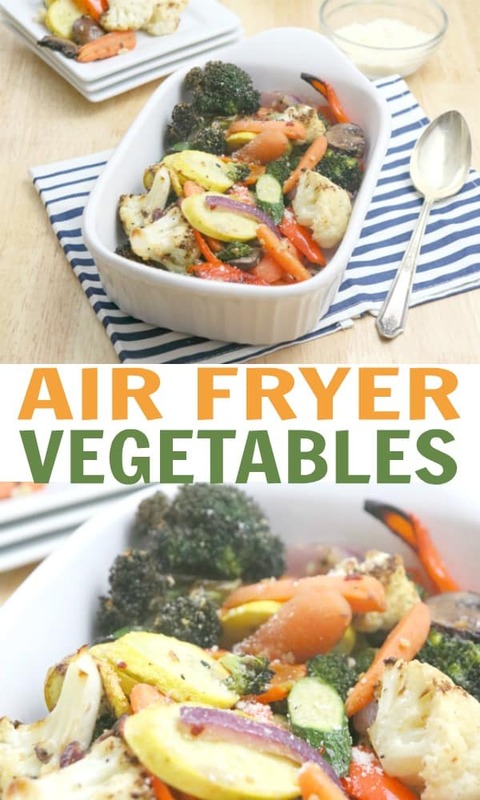 This Air Fryer Vegetables recipe is pretty amazing. 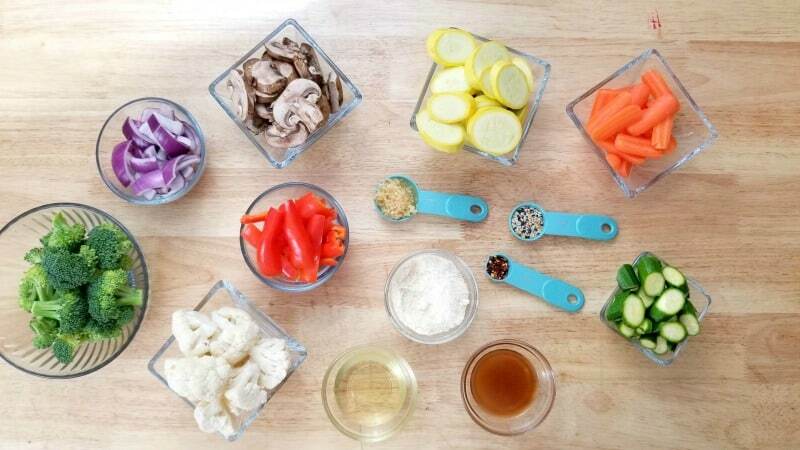 Loaded with flavor and the best part is it’s still very healthy! I love my kitchen gadgets but I don’t always use them in my everyday life. This all changed the moment my husband bought me an Air Fryer. When I say that I love my Air Fryer, I’m really not lying. I use my Air Fryer almost every single day! I’ve even talked several of my bachelor neighbors into getting one. 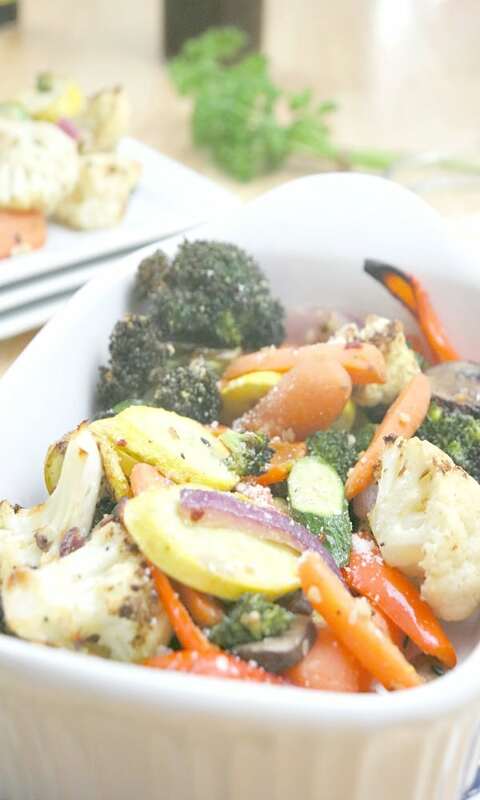 For this particular recipe, you can really use whatever vegetables you have on hand. I like to have a pretty wide variety of vegetables as a side dish but feel free to substitute anything you don’t like. To make the recipe exactly as I did, you’ll want to have the following items. I like to toss my vegetables in the Balsamic and Olive Oil versus spraying the vegetables. If you are going to spray your vegetables, make sure you aren’t using Pam as it can take the coating off of the Air Fryer. I have a glass olive oil sprayer and it’s worked out perfect! In a large bowl, olive oil, balsamic vinegar, garlic, salt and pepper and red pepper flakes. Whisk together.